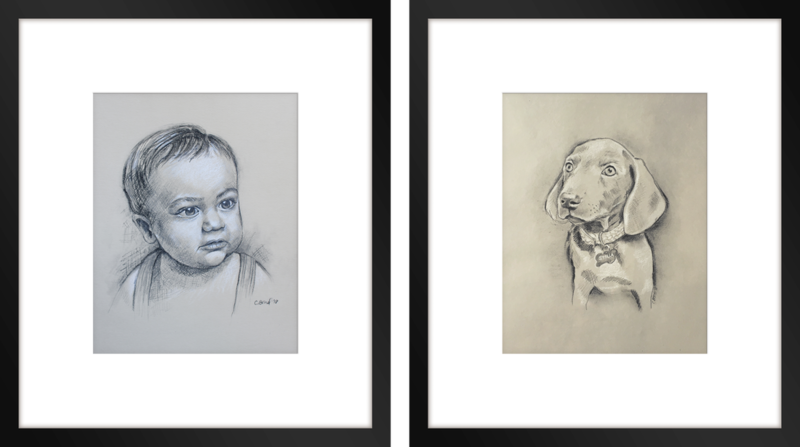 11"x14" Graphite & Charcoal Portraits (1 subject). *Includes standard 16"x20" black frame with white gallery mat. Price does not include tax or shipping and handling. A commissioned painting or drawing is much more than just copying your favorite picture and putting it on canvas or artist paper. Each piece is unique and may require less or more time to complete. If you are interested in commissioning a piece of fine art, please contact Callista Bond for a quote.